Well folks, It’s the most wonderful time of the year. St Paddy’s Day! Get ready because this year it falls on a Friday. How awesome is that? Wear your green, throw on a scally cap, and kick some arse at the bars this weekend. I’ve thrown together a list of some of the best bars in Boston to grab a pint of Guinness and dance your face off to Irish Rover. 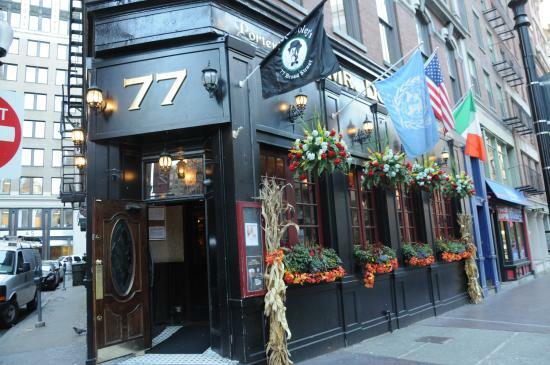 Located in downtown Boston outside of Faneuil Hall, Mr Dooleys is a hidden gem. Known for it’s assortment of Irish beers on tap and live music 7 days a week, Mr Dooleys has become one of the best bars in the city to grab a pint. You’ll never know when you could hear a spontaneous fiddle session. The Black Rose is the GOAT. If you’ve ever been here, you know what I’m talking about. With two floors, this bar has plenty of space to fit your St Paddys day needs. Live music every night downstairs, along with music upstairs on Fridays and Saturdays. If you want to go here on St Paddy’s Day, good friggin luck. I stood outside here for almost an hour last year at 2:00 pm. Did I get in? No. But I goddamn wish I did. They have the best Smithwicks in Boston. That’s a damn good beer. 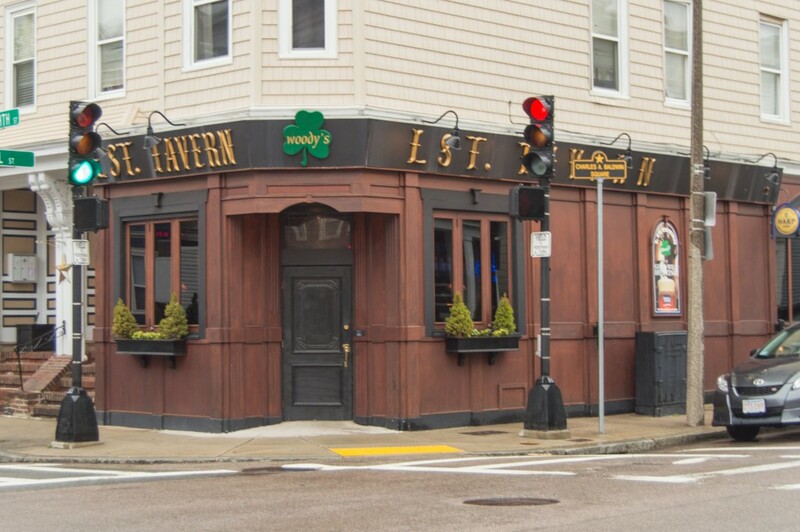 Right in the heart of Southie, L Street Tavern is a staple to people from here, kid. L Street has the classic Irish pub vibe with all the classic foods and beers. Crowded with locals, and sometimes yuppies who can’t get into Lincoln or Stats, L Street is a great place to spend your St Paddy’s Day. If you want to be at a fun, Irish sports bar, go To McGreevey’s. This is one of my favorite bars in Boston. Alt Rock plays through the speakers as you grub on some phenomenal pub food. Burgers, fries, pizzas..everything here will fill you up. Not to mention it’s owned by the famous Dropkick Murphys. Catch a game here or just catch up with some friends. McGreevey’s is a great spot for a pint. 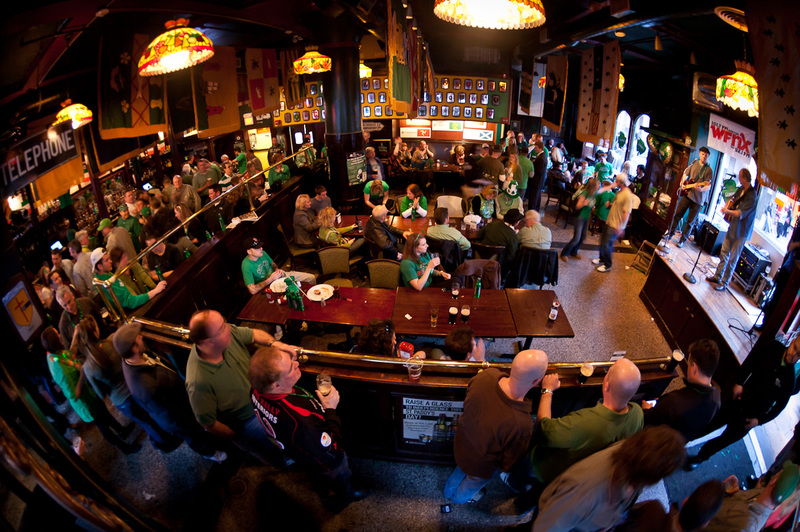 Located in Davis Square, The Burren is the one of the best Irish bar in Boston. It’s been known for it’s tradition tunes for over 20 years. From Irish jigs to bluegrass, to swing and 80s, The Burren is the destination for live music and a cold one. Solas is a classic. If you’re looking for a traditional Irish meal, this is where you want to be. The Reuben Egg Rolls are an absolute classic to get you going. And you can’t forget everyone’s favorite, Shepherd’s Pie. Stewed ground beef, carrots, and mashed red bliss spuds. My mouth is watering as I type this. 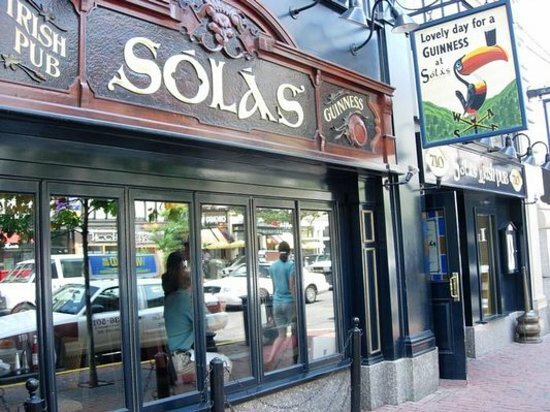 Solas on lunch break anyone? Happy St Paddy’s Day kids. From New England to New Brunswick, Galway to Dublin, raise a glass this weekend in celebration.